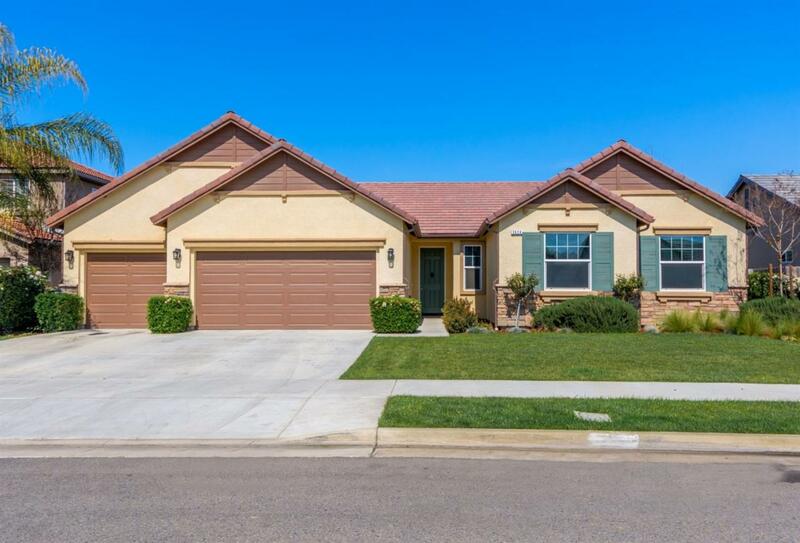 You do not want to miss out on this gorgeous home located in desirable area. Imagine yourself in this immaculate 4BR plus bonus room, 2.5 BA home, 3 car garage. Situated on a 8540 Sq Ft lot. As you walk in you will appreciate the open floor plan. In the Kitchen you will see Stainless steel appliances to include built-in stove, oven/microwave. Beautiful granite kitchen Island with stainless steel sink, Island also serves as breakfast bar. Custom decorative tile on all surrounding kitchen backsplash. 18X18 tile floors in Kitchen, entry, all baths and laundry room. Window blinds and ceiling fans. Granite counter in master bath with dual sink. Outside you will find a fully landscaped yard with front and back auto sprinklers, various rose bushes and red wood trees. Full house rain gutters, solar, concrete cement that wraps around sides and back of home. 15 X 30 ft covered Duralum patio with ceiling fans, built-in firepit. And much, much more. Call now for your private shwoing! Listing provided courtesy of Noe Cruz of All State Homes.